Never a dull moment in Jersey… We are enjoying the second half of the very tasty Food Festival at the moment, with stomachs full we’re already looking forward to next month! June is shaping up to be a fantastic month for visitors to the island; the annual RUBiS Jersey International Motoring Festival, June in Bloom, Bonne Nuit Harbour Festival, Sunset Concerts and much more, not to mention the arrival of our very own Man of Steel, Henry Cavill. He will be flying into the island for the Jersey Premiere of Man of Steel, on 14th June and, yes, he is a Jersey Bean. Jersey might be a small island but has nurtured many talented young people – Nerina Pallot is also from Jersey – How proud are we…? 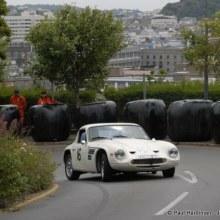 The RUBiS Jersey International Motoring Festival, 7-9 June, will run a series of Sprint Events and Hill Climbs which are open to anyone with a classic or vintage car or motorcycle. It will be all about polished chromes, engine noises and dedicated passionate owners showing off their pride and joy and demonstrating their skills in driving them around the island. A static show, the largest in the Channel Islands will also be held for all to come and browse. A lovely local event organised to get people together in a magnificent location. This is an ideal family day out, with food and entertainment from 11am to 8pm. Bonne Nuit Harbour is set in a gorgeous bay on the north coast of the island, a walkers’s paradise. If you decide to access the harbour by foot you will be rewarded by amazing panoramic views with France in the east and Guernsey in the west. The Water’s Edge Hotel could be a fantastic place to stay as it is located in the next bay along the north coast of the island, Bouley Bay. The June in Bloom festival will give you the opportunity to deepen your horticultural knowledge through a series of organised tours and behind the scenes talks. 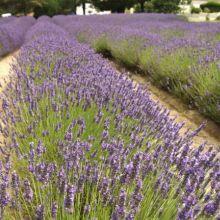 You will be able to admire the lavender fields in bloom at the Lavender Farm, wild orchids and private gardens. Jersey is the “Floral Island” of the Channel Islands so to not miss the opportunity to see the wide range of flowers that our milder climate allows, why not stay at Chateau La Chaire Hotel, in the east of the Island, a wonderful country manor house that plays host to the famous La Chaire Garden. For two evenings only, the Sunset Concerts are back this year on the 28th and 29th June. Organised by The National Trust for Jersey, the concerts are held outdoors in the north west of the island overlooking the magnificent St Ouen’s Bay. Bring your own picnic; these events are free of charge! On Friday 28th the Badlabecques will perform some popular folk songs alongside their original creations in Jersey local patois Jerriais. On Saturday 29th it will be Cleveland Watkiss’s turn to jazz up the evening. His vocal virtuosity is internationally acclaimed and will no doubt be enhanced by the natural acoustic quality of the outdoor amphitheatre. Over the years, La Fête de la Musique in France has become the unofficial national music day! 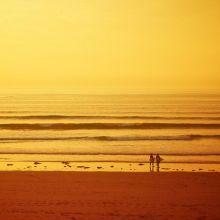 Why not spend the day in St Malo on 23rd June, just across the water from Jersey shores? Live music, crepes and a glass of cider in the fortified city… who can resist a bit of Gallic fun? And if you’d like your fix of France without leaving Jersey, The Norman Market will be held in St. Helier between 13th – 17th June. This entry was posted in Jersey Events and tagged Jersey International Motoring Festival, June in Bloom Floral Festival. Bookmark the permalink.